To familiarize the trainees with the usage of life jackets, emergency life-rafts and the content and usage of emergency rescue packages on the boat. 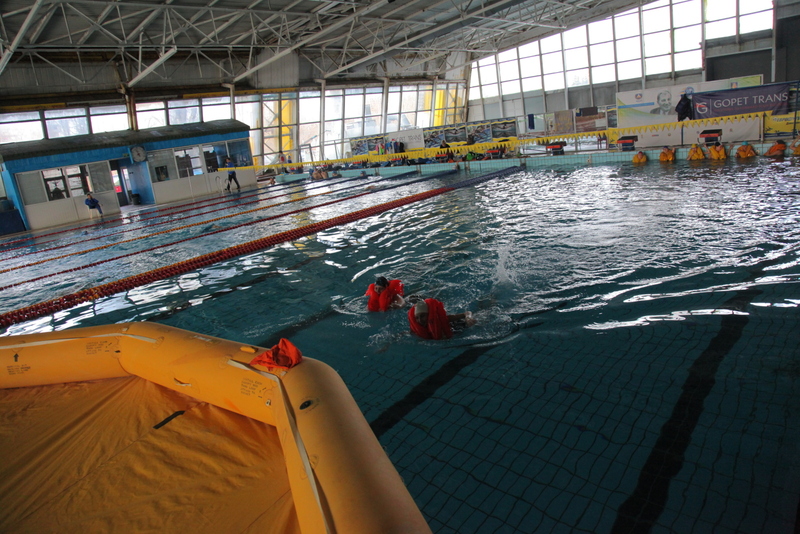 Preliminary training on the ground | 30 minutes This training includes group exercise for mounting the boat canvas, inflation instruction for life jackets as well as other actions for training in the pool. Survival training after ditching without a boat– 45 minutes The objective of the exercises is training in conditions close to the real situation for surviving after ditching, life jacket usage, etc. 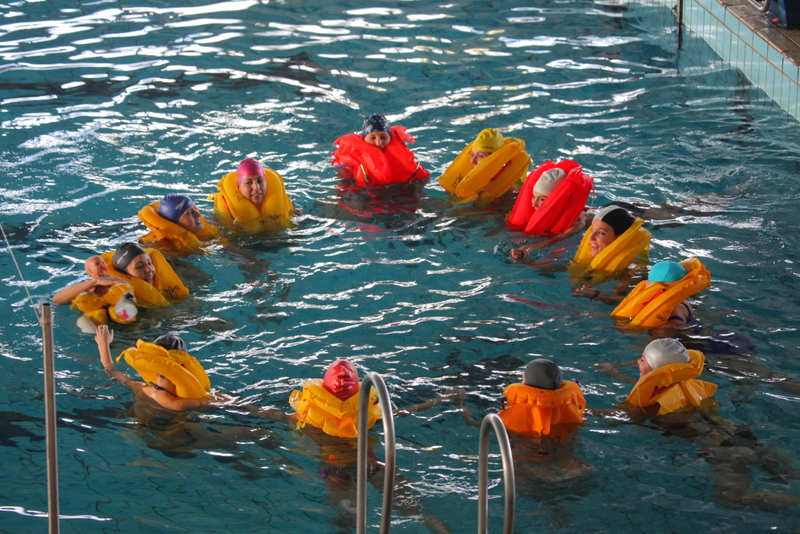 Exercises: · Inflating life jackets and jumping in the pool. The exercise is performed individually. · Saving a passenger without life jacket. The exercise is performed in pairs. · Inflating life jackets in the water with mouthpieces. Survival training after ditching with a boat | 45 minutes · The exercise is performed by the whole group. The trainees get on the boat from the “aircraft”. They recede from the aircraft. They look for survivals in the water and get them on the boat. · The main objective of the exercise is to train in practice evacuation with a boat after ditching. The additional objectives are to train the boarding methods in the boat from the “aircraft” and from the water. · Placing the boat canvas, receding form the aircraft, etc.